The West African Development Bank (dubbed BOAD in French) has decided to support the drinking water supply project for 89 semi-urban centres in Togo. It is a 10 billion CFA francs financing, or more than 15 million euros. The Board of Directors of the West African Development Bank met on Wednesday, September 19, 2018, for its 110th ordinary session in Abidjan, Côte d’Ivoire. Several topics were on the agenda, including the financing of certain development projects requiring financing from this sub-regional bank. The project to supply drinking water to semi-urban centres in Togo is one of those that has been validated. The WADB Board of Directors has therefore decided to finance this project to the tune of CFAF 10 billion, or more than €15 million. The effort made concerns a total of 89 semi-urban centres. According to the West African Development Bank, the rate of access to drinking water in the semi-urban centres concerned does not exceed 20%. The funding will allow 35 drinking water supplies to be installed to serve 46 semi-urban centres. 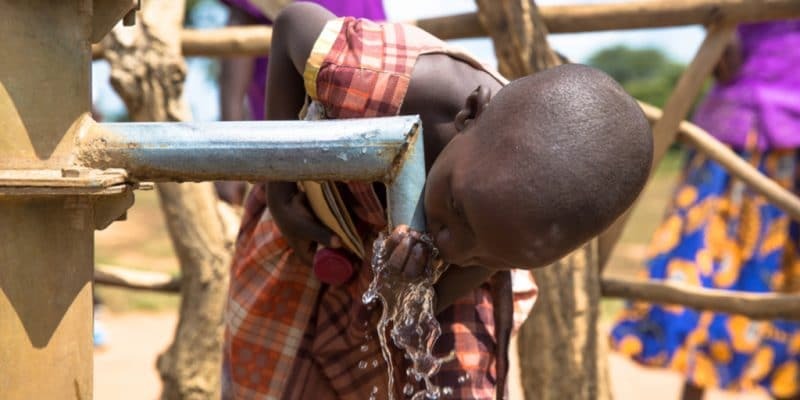 The Togolese government should also build 48 boreholes and 35 treatment units with a capacity of 28,000 m3 of water per day, which will allow 700 domestic connections to be made. The drinking water supply project for 89 semi-urban centres will also include the construction of more than 300 km of drinking water supply and distribution pipelines; it will also allow the construction of 546 standpipes that will function thanks to 39 water towers with a capacity of 7,650 m3. Once built and commissioned, these new infrastructures will further increase Togo’s access to drinking water, which already reached 57% in 2017 (compared to 42% in 2013). Knowing that people living in rural areas are privileged here, with a drinking water access rate of 65%, compared to an average of 49% for cities, according to the 2017 edition of the Official Development Assistance. This makes it easier to understand the new effort being made in urban centres. For the Togolese government, all this progress can be attributed to reforms aimed at improving the national drinking water supply rate and the law on the organisation of public drinking water and sanitation services, passed in 2010. To better ensure its implementation, President Faure Gnassingbé has appointed a Minister of Water, Sanitation and Village Water Supply. Lékpa Gbégbeni took office in February 2018.